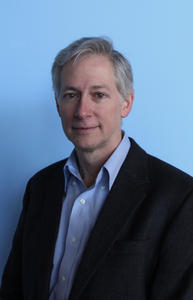 H. Edward Seidel, the senior vice president of research and innovation at Moscow’s Skolkovo Institute of Science and Technology, has been named the director of the National Center for Supercomputing Applications at Illinois. Seidel led NCSA’s numerical relativity group from 1991-1996. He was among the original co-principal investigators on the Blue Waters supercomputing project at Illinois. In 2008, Seidel joined the National Science Foundation, serving as NSF assistant director for mathematical and physical sciences from 2009-2012, overseeing a budget of more than $1.4 billion. He initially served as the director of the Office of Cyberinfrastructure at the NSF. Seidel, whose expected starting date at NCSA will be Jan. 15, will succeed Thom Dunning, a U. of I. chemistry professor who announced his retirement from NCSA last year. Dunning has been in charge of NCSA for eight years. Seidel earned a master’s degree in physics at the University of Pennsylvania in 1983 and a doctorate in relativistic astrophysics at Yale University in 1988. In 1996 Seidel was named the head of the numerical relativity group at the Max Planck Institute for Gravitational Physics (also known as the Albert Einstein Institute) and in 2003 was named the founding director of the Center of Computation and Technology at Louisiana State University. During his time at LSU, Seidel was credited with building interdisciplinary research programs across the campus and state, along with a statewide research infrastructure that have led to significant increases in federal research funding. In 2012 Seidel was recruited to help construct the Skolkovo Institute of Science and Technology (also known as Skoltech), a partnership comprising the Massachusetts Institute of Technology, the Russian Federation and the Skolkovo Foundation. Seidel is a fellow of the American Physical Society and of the American Association for the Advancement of Science, as well as a member of the Institute of Electrical and Electronics Engineers, and the Society for Industrial and Applied Mathematics. His research has been recognized by a number of awards, including the 2006 IEEE Sidney Fernbach Award. NCSA – established in 1986 as one of the original sites of the NSF’s Supercomputer Centers Program – is supported by the state of Illinois, the U. of I., the NSF and other federal agencies. For more than 25 years, NCSA has been a leader in deploying robust high-performance computing resources and in working with research communities to develop computing and software technologies. NCSA’s Blue Waters supercomputer provides the nation’s scientists and engineers with the computational and data power to support breakthrough research. NCSA also leads the NSF’s Extreme Science and Engineering Discovery Environment, a five-year, $121 million project to deliver advanced computing, data, networking, and collaboration tools and support to the nation’s researchers.